Do your eyes get blurry when you’re standing in the pharmaceutical aisle trying to decide which product is right for you? Mine do. During my last shopping trip, I encountered 34 options for toothpaste, 93 lipsticks, 62 eyeliners, and 42 colors of nail polish from one brand alone. 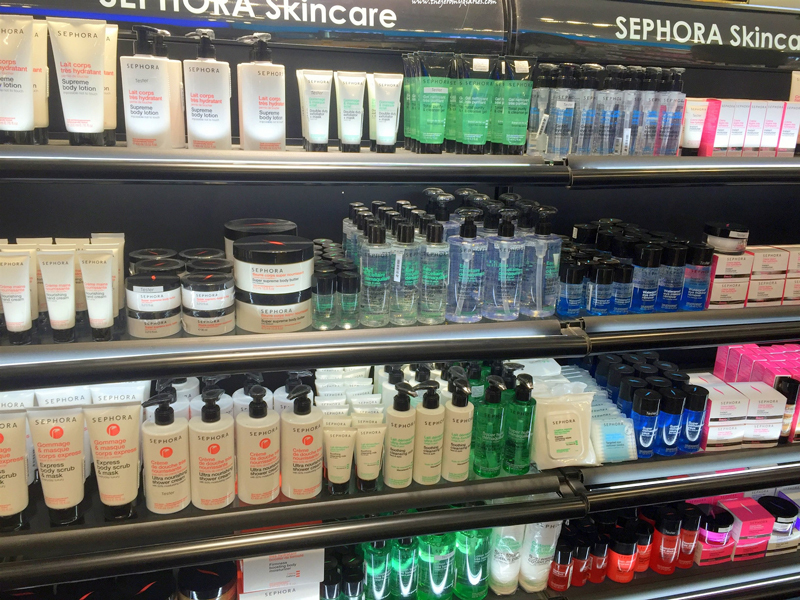 Then there were 23 skin creams, 36 cleansers, 29 moisturizers, face mists, skin tints, etc. There are so many choices! How on Earth am I supposed to pick?! Choice overload is the negative psychological, emotional, and behavioral effect of having too many options to choose from (Kellogg Insight). Waitrose’s report on trends found that 64% of consumers always or occasionally feel overwhelmed by choice, and a recent consumer report discovered that already 54% of consumers experience so much frustration that they abandon e-commerce sites if they can’t choose. But why exactly do consumers have a problem with choice? Isn’t choice supposed to be the purest expression of free will? As a brand or retailer, you likely carry more than two products so that you can give consumers exactly what they want: the agency, autonomy and freedom to choose that one product that’s just right for them. The issue with choice is that while it can be liberating, at its core, it is closely linked to the feeling of loss. If your customers choose something, it inherently means sacrificing something else. Making trade-offs can cause decision anxiety and decision aversion, especially if there are potential negative consequences and risks associated with one’s decision, such as using the wrong product on your skin or spending too much on a product that’s not worth it. If consumers cannot make a decision, it is extremely unlikely that they will make a purchase. 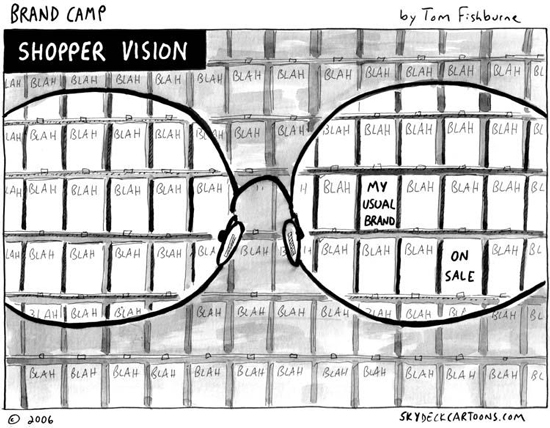 Undoubtedly, choice is becoming a real problem for brands and retailers that needs to be faced head-on. The negative impacts (fewer sales, reduced customer satisfaction, and higher return rates) will only exacerbate in the current market environment. To help mitigate how choice negatively impacts your business, we examine the main causes of choice overload and explore ways how you can optimize the choosing experience in your stores by better assisting your customers. For over a decade, numerous scholars have researched the psychological effects of “choice overload.” They found that, while people want choices, the ever-expanding array of options discourages them from making purchase decisions. Barry Schwartz, a psychologist, described this phenomenon in his famous book as “the paradox of choice”: While we consider variety to be a good thing, at the same time, it makes our decisions more challenging. Having a lot of choices is great — until it’s not. For example, if a person is contemplating whether to buy a new car, a larger selection is more likely to increase their interest in purchasing a car. If, however, a person needs to decide which specific car to purchase, a large selection lowers the likelihood of them buying anything at all. Tip: Consider the state-of-mind of your customers. Are they browsing or are they ready to buy? The key is to find the balance between offering enough choices to attract buyers and actively helping them navigate the choice as soon as they show buying intent, i.e. providing proactive decision support to returning visitors. Canon USA integrates product assistants in the top navigation to help shoppers who are ready to buy in making a choice. In 2010, Jonathan Levav and Shai Danziger examined parole rulings of highly experienced judges and found an interesting pattern: prisoners who appeared early in the morning received parole about 70% of the time, while those who appeared late in the day were paroled less than 10% of the time. The study result showed that decision-making is taxing and means substantial cognitive effort. Several other similar experiments that involved gift shopping, buying Dell computers, buying suits and purchasing cars confirmed this assessment. The more decisions people must make, the more reluctant they become to make trade-offs and compromise, which is a crucial function in decision-making. Big decision, small decision, they all add up. People make many decisions every day, and with each decision, it becomes harder for the brain to carefully weigh the consequences. Our brain will look for shortcuts as soon as decision fatigue sets in or if we feel pressured by time. It makes us settle for the path of least resistance, the default option, which is not always the best choice. This can result in people making predictably bad decisions, feel greater levels of regret and lower their satisfaction with a choice. Tip: Keep it simple and concise. Don’t overwhelm customers with too much information, and instead focus on reducing choice complexity by helping them quickly understand the differences between choices and the consequences associated with each choice. 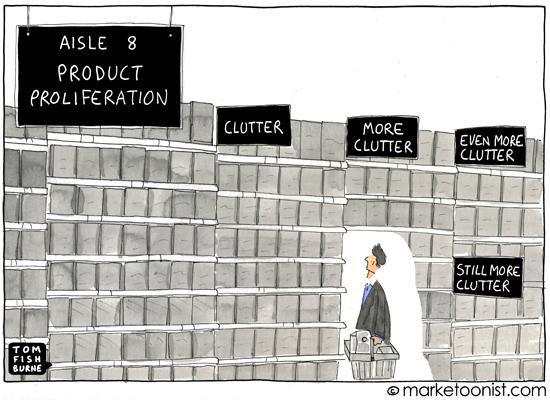 In reality, choice overload is not so much about the absolute number of options but rather about the complexity of the decision-making process and the ease with which customers can compare their options. How you align your assortment and present options can help you simplify and facilitate consumer decisions. a) Highlight the dominant option – consumers are more likely to make a purchase from an assortment when it contains a dominant option. b) Curate and personalize – consumers are more likely to purchase from smaller assortments when these assortments are curated to include the most attractive options from a larger assortment. Instead of overwhelming customers, display only a subset of options that will most likely appeal to them, ones based on different personas and interests. 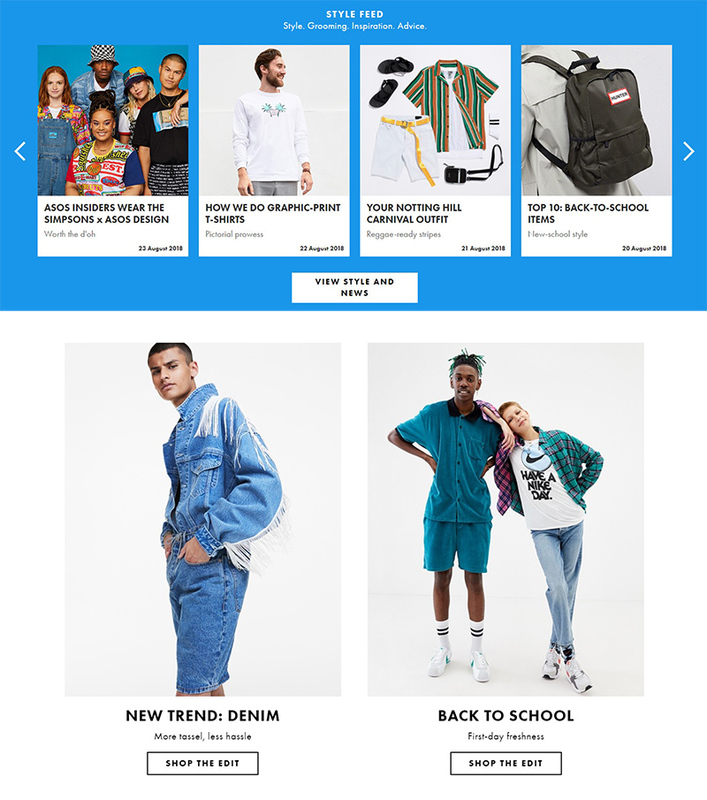 Fast-fashion retailer ASOS’s style feeds include a curated collection of products, tips, and advice based on topics and different occasions customers can relate to. 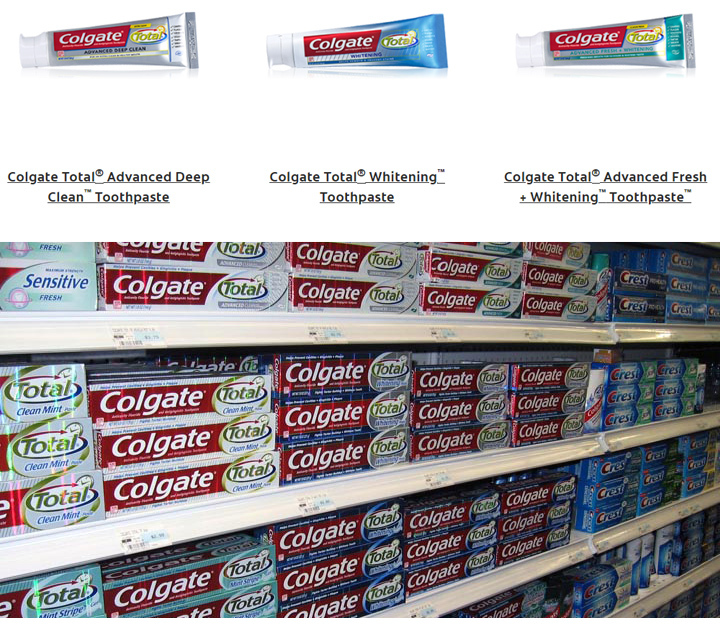 c) Categorize – avoid displaying highly-differentiated products together as it decreases the purchase probability. Every decision a customer makes involves comparing multiple attributes. Whenever they now have to compare highly-differentiated products with many different attributes, the decision complexity increases exponentially, making it much more difficult for consumers to make a decision. Instead, clearly categorize options based on features important to your customers. 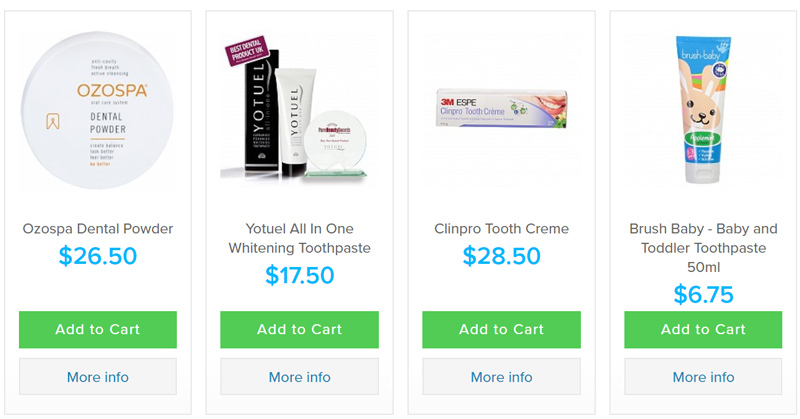 After selecting the category “Toothpaste” on a website for dental care, shoppers are presented with a list of highly-differentiated products, which increases the decision complexity. d) Don’t force trade-off decisions – assortments with complementary product attributes tend to decrease purchase likelihood. If combining product attributes of different products would create a more superior product, such as cavity prevention or teeth whitening in toothpaste, they become complementary. Aligning these products next to each other forces consumers to make a trade-off decision between options that are perceived as equally important (tartar control or whitening or breath-freshening? 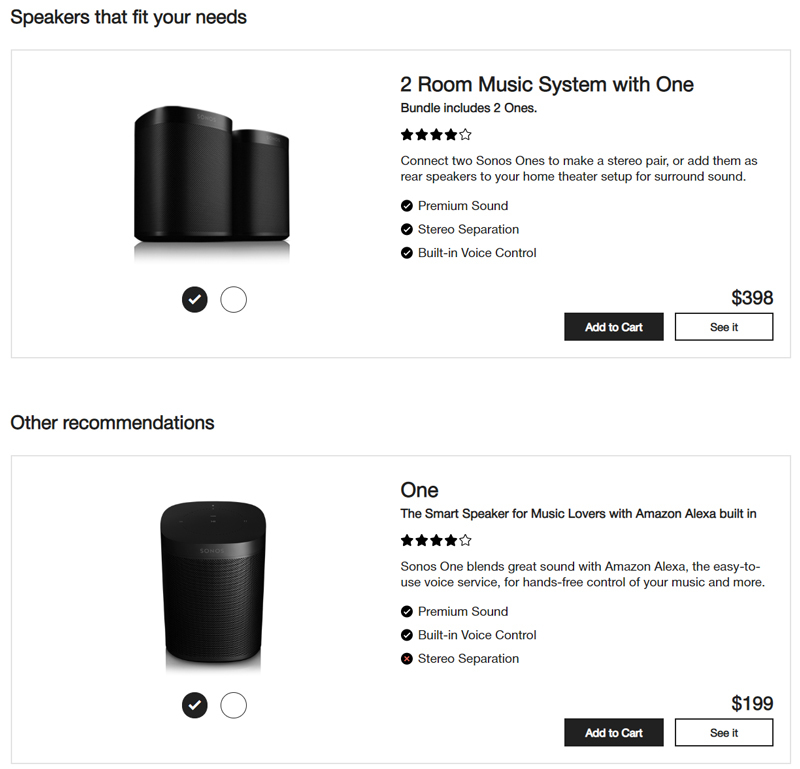 ), making the purchase decision harder. Several complementary products that intensify the choice problem online and in-store. Shoppers have to decide whether they prefer Advanced Deep Clean, Whitening or Freshness. These attributes can be perceived as equally important, which is why making a trade-off decision is difficult. Experiments show that companies can significantly reduce decision anxiety and consumer confusion if they offer decision support systems based on personal preferences and allow customers to define their preferences before making a choice. Research by The Kellogg School of Management found that consumers with articulated preferences (experts) are more likely to choose from a large assortment than individuals without articulated preferences (novices). Consumers are more likely to feel overwhelmed by choice if they are unfamiliar with a product category, don’t have enough knowledge about the attributes, or don’t have a clear preference to dictate their decision. How much do your customers already know what they want? Typically, a large part of your visitors will be novice consumers who have just discovered your site or have been referred. You can attenuate the negative effects of choice if you help them articulate their preferences prior to them making a decision. For example, before presenting a list of different products to novices who are in the market to buy, car manufacturer websites should ask consumers to answer several basic questions to help them articulate their needs and preferences. A similar approach can be found when dealing with financial institutions that ask new customers to define their goals before showing them suitable offerings, such as credit cards, insurance plans or checking accounts. This kind of support makes it easier for consumers to make a choice from a large array of options, minimizes regret, and increases their satisfaction with a choice. It is clear that today’s consumers require assistance. They are confronted with ever-growing choice and have to make multiple decisions every day, some smaller, some larger, some easier and some more difficult. It’s on the brands and retailers to remove the growing pain point of choice overload and provide customers with relevant, meaningful, and immediate assistance as they seek to make a decision. This article has been originally published on Guided-selling.org. Continuous Learning on INSPIRATION: What Do People Want to See on Social Media? Stretch Rants on INSPIRATION: What Do People Want to See on Social Media? Javier Mercedes on INSPIRATION: What Do People Want to See on Social Media?